English is at the heart of our learning and teaching and essential to every area of the curriculum. It is through English that concepts are formed and we are able to make sense of the world and our place in it. Children are taught to read in a variety of ways. In the Foundation Stage and Key Stage 1, children read individually and in groups; they are also given regular opportunities to share a book with others. Teachers read a variety of written material regularly with the children: fiction and non-fiction, stories, reports, diaries, poems etc. 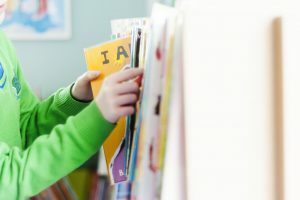 We place a strong emphasis on phonics (letter sounds) in the early years of learning to read because we believe this lays the foundations for successful reading. We use ‘Bug Club’ reading scheme for KS1 guided reading and home-school reading system which requests that parents read with their children each day. Children need parents/carers to be reading role models, so we would strongly encourage daily reading at home beyond Key Stage 1. To develop writing at St Joseph’s, we use a topic approach. This is an immersive approach to teaching English, allowing for connections to be made to other areas of the curriculum. Each year group uses topic related books that not only act as class novels, but are also used by the class teacher to underpin the teaching of English. 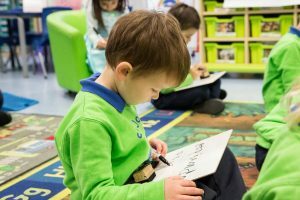 At St Joseph’s we follow Letters and Sounds as our prime means of teaching children in the early stages of reading and writing. The strategy combines songs and actions as a way for children learning all 44 phonemes (smallest unit of sound). Phonemes can be made of 1/2/3 letters. For example: a, ay, igh. High frequency words are also taught by sight and cannot be sounded out. The teaching of phonics begins in Nursery, where environmental sounds are introduced, then in Reception sounds are introduced at a rate of one a day throughout the autumn and spring term. Sounds are consolidated in the summer term. This knowledge is built upon in Year 1; more complex sounds are introduced and reinforced throughout Year 2. During the summer term in Year 1, children nationwide are tested on their phonic knowledge. This test helps us to identify children who have gaps in their phonic knowledge and may need support in Year 2 to develop reading and writing skills. Parents are informed as to whether their child has achieved the national expectation within the child’s end-of-year report. Additional tuition in phonics will be given to those children who did not achieve a pass during Year 2 and they will be tested again in the summer term. We follow the Nelson handwriting scheme at St Joseph’s. 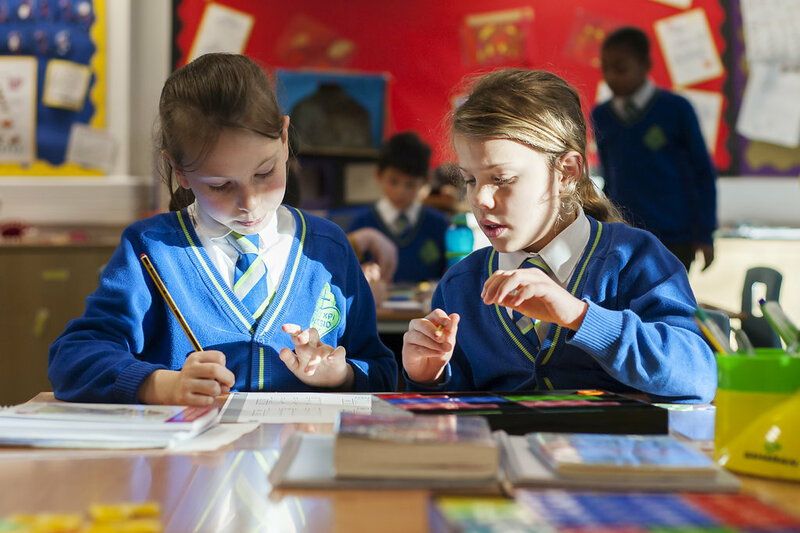 We aim for our pupils to develop a neat, legible, speedy handwriting style using continuous cursive letters that leads to producing letters and words automatically in independent writing. We encourage fine motor skill activities in EYFS to develop muscles used for writing. Phonics is primarily used as the building blocks in EYFS and year 1, whilst using high frequency words to support writing. In years 2-6 the school follow the ‘No Nonsense Spelling’ scheme. No Nonsense spelling provides pathways, for the teaching of spelling from Yr2 to Yr6. It then gives lesson suggestions for each spelling session along with the resources needed.